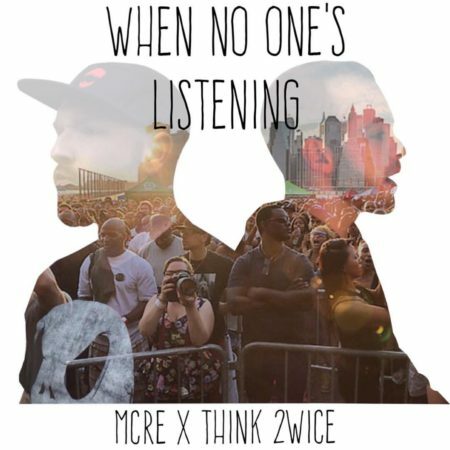 Portland, Oregon rapper Think2wice has teamed up with Vernon, Connecticut’s MCRE for a 14-track album with layered meaning and immersive lyrical content. Featuring El Gant and others, When No One’s Listening is dedicated not only to the upcoming artist whose talent is overlooked, but also any of us who pursue passions which don’t always provide immediate gratification. In the case of these two, that passion is Hip-Hop music, and that is perhaps embodied best in MCRE’s creative process.